“A way to a man’s heart is through his stomach,” – best quote from female chefs. Men wants a woman who can cook for them; a partner whom they want to be with for the rest of their lives. A man who is practical in life would rather choose a woman who is good in the kitchen than those women who are always seen in restaurants asking for a waiter’s attention. What would be a man’s reaction if a female chef serves them a plate of delicious meal? Five of those famous female chefs cook the best cuisines a man should try. 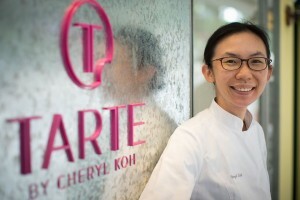 Cheryl Koh, 36 years old, a pastry chef in Les Amis group since 2010, had opened Tarte at Shaw Centre in Singapore. Being the Asia’s Best Pastry Chef, she continued to inspire people as she say: “I hope to continue to learn, and inspire good people to cook and eat well.” Oh well, she is the sweetest cake ever! 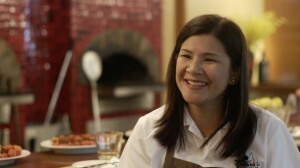 Just to pursue her passion in baking, Lena Chan left her banking career decades ago. She enrolled herself in the famed Le Cordon Bleu culinary school. It turned out that after she sacrificed her hobby in working in the bank, it was the right decision because she opened a cake shop named Mad About Sucre together with her brother Erik. She had never been happier when she spend long hours in the kitchen creating confections from scratch. “Being a chef is about charting your own course based on your own belief, and running at your own pace, in your own shadows, with your own shoes,” Chan said. 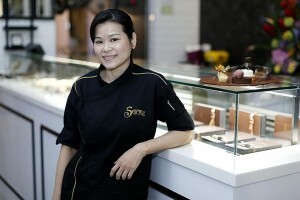 Janice Wong is best in making sweets into a more creative way. Her pastries range from edible chocolate paint that comes in 38 vibrant hues to chocolates in quirky flavours of chilli padi and bak kwa. Wong was one of Singapore’s most prominent pastry chefs. She was named as as Asia’s best pastry chef twice at the 2013 and 2014 San Pellegrino Asia’s 50 Best Restaurants awards ceremony. She is now operating her sweet shop at Marina Bay Sands.